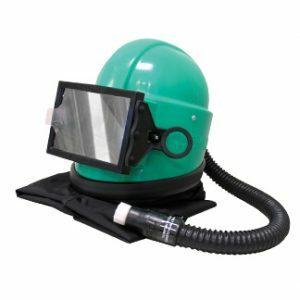 Miles Supply recommends the Apollo 20 HP Helmets because they protects the operator’s head, neck, shoulders and chest from ricochet abrasive while maintaining positive pressure inside the helmet with the incoming air. The box front window provides a clear view and the lenses are economical to replace. The helmet is lightweight and is designed for use with compressed air systems.